For those in or near retirement, the name of the game comes down to one thing — income. Being able to turn your savings into a steady stream of paychecks after you stop working is really the only thing that matters. Luckily, the boom in exchange-traded funds (ETFs) to buy can provide investors with a great way to do just that. One of the best things about ETFs is that they have democratized a ton of different asset classes and bond varieties. In doing this, investors looking for income can find and build a portfolio for whatever demands they have. Income in retirement can be dynamic, featuring high initial yields, inflation protection, grow over time, etc. And investors can do it with single-ticker access and low-costs. In the end, the best ETFs make building a complete income portfolio a breeze and can help turn savings into a steady paycheck once you punch your last clock. 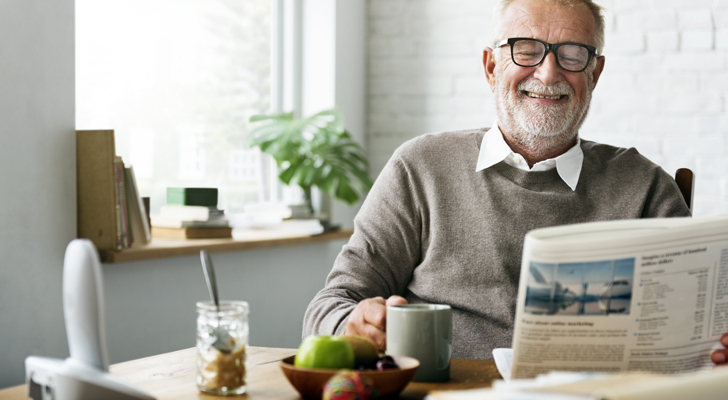 All in all, they are a must-have for those in- or near retirement. But what are the best ETFs for investors to focus on? Here are five funds that can be used to build a complete income portfolio and remove the hassle. There’s a reason why bonds are called fixed-income investments. Their stability and regular coupon payments make them an ideal base from which an income portfolio can be built. And ETFs make adding this base very simple and cost-effective for retirees. The Bloomberg Barclays U.S. Aggregate Bond Index is the benchmark for the broad bond universe and provides broad exposure to the U.S. investment grade bond universe. This includes everything from Treasury bonds, corporate bonds and mortgage pass-through securities to commercial mortgage-backed securities and asset-backed securities. As the top dog index for bonds, there is a wide variety of income ETFs that track it. But the SPDR Portfolio Aggregate Bond ETF (NYSEARCA:SPAB) may be one of the best. 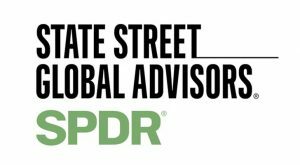 State Street finally got serious a few years ago about competing with the other two big dogs in the ETF world and created its own core line-up of ETFs. This includes the $3.7 billion SPAB. The fund provides exposure to all 4,855 bonds in the index and it does so at a rock-bottom expense ratio of just 0.04%. That low expense ratio allows income seekers to keep more of their bond’s distribution payments- currently at 3.17% — and provides better overall returns. And with free trading available at several discount brokers, using SPAB as core income position only gets better. By using SPAB as their core bond position, investors can gain exactly benefits ETFs were designed to provide. Getting dividends from stocks provides something that bonds can’t compete with — the ability to grow their income potential. As cash flows and earnings increase, stocks tend to hand out more money back to shareholders. Historically, stocks have on average grown their dividends by about 5.1% per year. For retirees, this growth is critical in making sure their purchasing power keeps up with inflation. 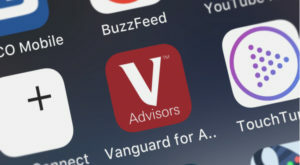 Tapping into this is the Vanguard Dividend Appreciation Index ETF (NYSEARCA:VIG). VIG’s M.O. isn’t about an initial high-yield — it currently only pays 2% — but growing that payout over time. 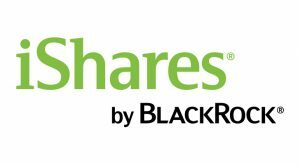 The ETF looks at stocks that have a history of increasing dividends for at least 10 consecutive years. These “dividend achievers” are exactly what investors are looking or in order to make sure their income keeps up with inflation. The ETF tracks currently 180 top stocks, including Microsoft (NASDAQ:MSFT) and Nike (NYSE:NKE). VIG, however, does not include real estate investment trusts (REITs) or MLPs. As a result, the vast bulk of its distributions are considered “qualified dividends” for tax purposes. And as a Vanguard ETF, VIG’s expenses are dirt cheap. The nearly $33 billion ETF only charges a measly 0.08% in expenses. When it comes to income ETFs, VIG can play a powerful role in getting some serious and growing equity income. Speaking of those real estate investment trusts (REITs) that previously mentioned VIG avoids, they have long been a great way to boost the income generated from a portfolio. That’s because REITs feature a special tax structure that allows them to push out much of their cash flows to investors. Those cash flows are driven by the rents and profits from the underlying properties they own. So as apartments, office buildings, and strip malls keep churning out rent growth, REITs’ dividends rise. The same could be said for REIT ETFs like the top-notch iShares Cohen & Steers REIT ETF (NYSEArca:ICF). What makes ICF a particularly great ETF for retirees/income seekers is that ICF focus on the so-called “realty majors.” Top holdings such as Public Storage (NYSE:PSA) or Equitable Residential (NYSE:EQR) are some of the leading firms specializing in their respective property types. With ICF, investors get exposure to the largest 30 REITs in the country. For income seekers, that’s a place to be. For one thing, these firms’ large asset bases provide plenty of cash flow and dividend stability. What it really means is a steady dividend in good times and bad. Moreover, REITs like ICF’s holdings have long been able to raise their payouts at rates faster than inflation. This can provide a boost to income over time as well. With ICF added to your income ETFs, investors can add some serious current income and future dividend growth. Junk or high-yield bonds are a great way to score more income by moving down the credit ladder. The only problem is that junk bonds are very susceptible to interest rate hikes. And with the Federal Reserve starting to raise rates, income seekers looking to boost their incomes are facing a quandary. But here again, income ETFs can come to the rescue for a complete income portfolio. Senior bank loans are pools of corporate-issued debt that adjust rates every 30 to 90 days. The benefit of this is that as the Fed raises rates, those increases will be reflected in bank loan’s coupons. The kicker is that senior loans are often issued to companies with credit ratings below investment grade. This means they offer higher starting yields than Treasury bonds. Investors get their cake and get to eat it as well. ETFs like the Invesco Senior Loan ETF (NYSEARCA:BKLN) make adding the once-hard-to-obtain asset class easy. BKLN is the largest of the ETFs in the sector and tracks the S&P/LSTA U.S. Leveraged Loan 100 Index. This index is designed to match the performance of the largest institutional leveraged loans based on market weighting, spreads, and interest payments. All in all, BKLN holds more than 118 different loans with top holdings including debt from PetSmart and Burger King. With a yield of 4.5%, BKLN can add the extra oomph that income seekers need to build out their income portfolios and shows how the best ETFs can make adding exotic assets classes easy. One of the biggest headaches in managing an income portfolio is taxes. We all know the saying about death and taxes. Uncle Sam has to have his share. Lowering how much you hand over to him is very important- especially so in retirement. So, if you can pay him nothing, even better for you. That’s why municipal bonds and muni ETFs are powerful tax fighting tools. Issued by local and state governments, municipal bonds are free from federal taxes and in many cases, state taxes. When it comes to ETFs, the $11.8 billion iShares National Muni Bond ETF (NYSEARCA:MUB) is the king of the muni castle. MUB’s holds a whopping 3,703 tax-free muni bonds. That’s an amazing amount of diversification for just only 0.07% in expenses. It also provides plenty of tax-free income firepower. The ETF currently yields 2.5%. That’s not too shabby already and is about the same as previously mentioned SPAB. But that yield gets even more impressive when you factor in taxes. For someone in the highest bracket, they would have to earn more than 5.20% to get the same amount of income. And that is where munis shine. By using MUB in a taxable account, income seekers can build a tax-free base of income to supplement or support the other income ETFs on this list. For retirees, municipal bonds are a must-have investment when building their income streams. At the Time of writing, Aaron Levitt did not have a position in any of the ETFs or stocks mentioned. 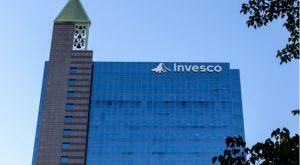 Article printed from InvestorPlace Media, https://investorplace.com/2019/03/the-5-best-etfs-to-buy-for-a-complete-income-portfolio/.